Easter is my favorite holiday. Besides the Christian celebration, I love Easter because it marks the season of new life: Spring. There are no sky-high expectations for presents, or perfectly roast turkeys; just flowers, hymns, and a positive outlook on all that is possible. Not to mention the pretty new outfits. This year my pretty dress will be worn only briefly. I’m home in Maryland helping my sister with the very gradual renovation on her new 5-floor split level house. Easter began with a very late stop to installation of new hardwood flooring in the kitchen and a very early trip to Home Depot so we can turn the water back on after a series of accidents. The motivation right now is to eke out the first real meal in this house tonight. With that very simple goal stated, I’ve been visualizing Easter dinner all week. I won’t get to do any of these today, but soon the house might be ready for some of this DIY styling. 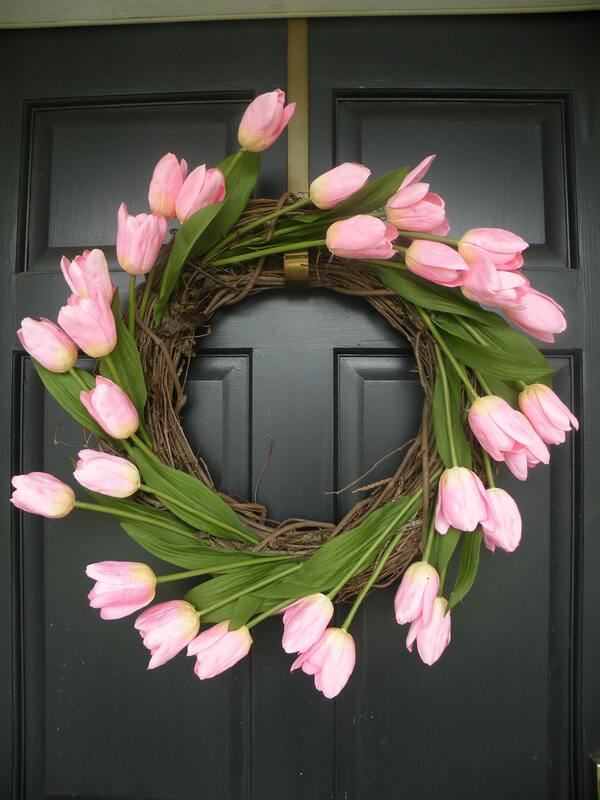 The entrance – I love this wreath! The table – pretty cheap and totally customizable mat made of posterboard and tape. 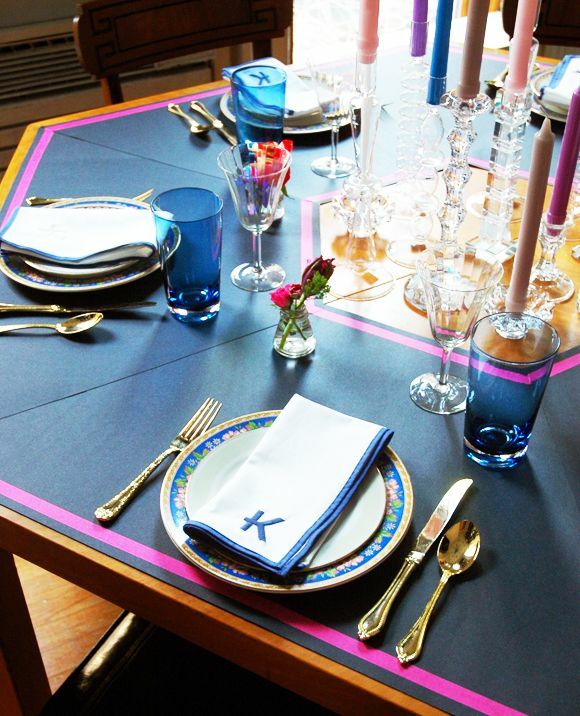 Not to mention Jenny Komenda of Little Green Notebook’s gorgeous hexagonal table! 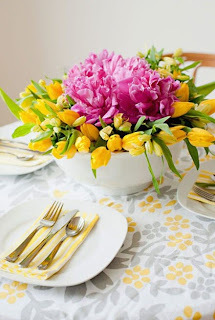 The centerpiece – lovely flowers in a serving bowl. So fresh. The meal – Broiled Salmon and Spring Vegetables. Light and healthy, I would serve this at brunch or dinner.